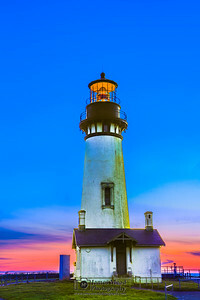 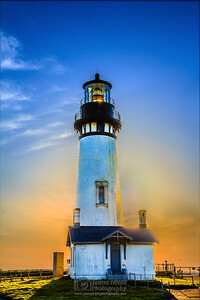 The light from the sun below the horizon colors the sky behind Yaquina Head Lighthouse at Dusk. 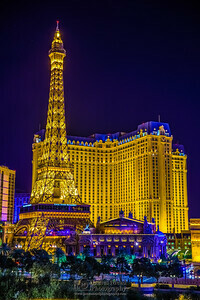 The Bell Tower and waters of the Venetian Hotel and Casino in Las Vegas illuminate with color at night. 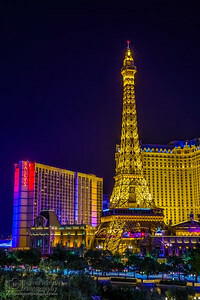 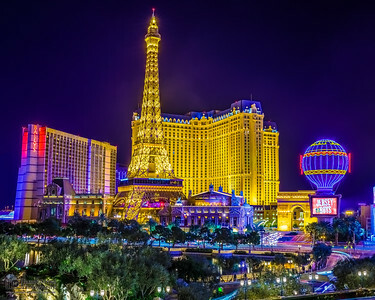 The Bell Tower and of the Venetian Hotel and Casino in Las Vegas rises above the Vegas Strip as the lights of the Luxor shoot up into the night sky.